Data is in the heart of any individual or organization. Therefore, when you experience data loss, it is crucial that you make an informed decision and choose a trusted data recovery professional that you can trust with your valuable data and hard drive. 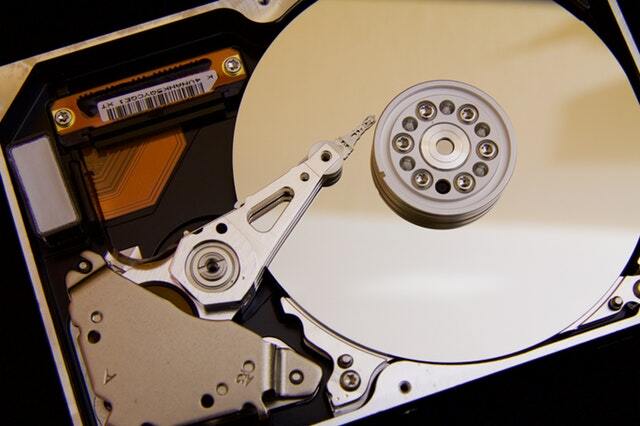 Hard drive recovery process from delicate drives such as SATA hard drive, SSDs etc. requires handling from a data recovery expert who knows how to handle the drives professionally. In the hard drive data recovery business, every job you get is likely to be unique. Therefore, established data recovery companies have a wealth of experience and knowledge gathered over the years in practice to assist personnel to overcome both physical and logical data recovery challenges each job may present. Any experienced company not only brings expertise to the table but also thought leadership and industry. The firm to which media visits not only for interviews sessions but for data recovery too when they are hit by data loss disaster, speaks volumes if not terabytes or gigabytes. An experienced hard drive data recovery firm with an established global network of partners, data recovery laboratories and customer service centers is equipped and committed to coming to the customer’s rescue when data loss disaster hits whether they are on board traveling or at home. With the technological evolution and the emergence of the open source community in the market, consumers are not limited to dealing with a monopoly source for their software, hardware, and services they need. An independent hard drive data recovery company is not handcuffed to a single operating system or platform. An independent data recovery company offers a cost-effective and affordable alternative to the storage medium for consumers. An inexperienced company may quote low just to ensure they secure a contract with your business. However, will they really recover your data? Some service companies may provide low quotes simply to increase their income with the hopes of receiving a number of “easy” projects. Do not be caught off guard with hidden costs or any surprises. A free evaluation should include conducting an examination of your physical hard drive by a trained expert, not a guess by a representative of the company over the telephone. Physicians do not diagnose patients over the telephone. Therefore, a reputable data recovery company should not provide a quote before examining the affected hard drive device in the laboratory as a first measure. Before sending the hard drive to the laboratory for examination, the data recovery representative should ask you a series of questions to shed some light on some of the steps that led to the data loss and also get more information on the data required. You are looking for a hard drive data recovery services firm because you cannot access your data. What about the data recovery firm to which you are planning to send your hard drive? Are the personnel accessible? The ability to reach a data recovery representative around the clock 24/7, 365 days is an important and refreshing alternative when facing a potential critical data loss. Some data recovery companies will quote their charges based on the volume of data intended to be recovered. Ask your hard drive data recovery service company prospects if they charge their services based on the size and number of files to be recovered. Reputable data recovery companies will not charge their customers based on the volume or size of data recovered. A recommended quote is determined by the type of work involved in recovering your data, whether it is one spreadsheet file on a physically damaged hard drive or 5 years financial records on a hard drive with one read error. Losing your data is not something you can openly talk about, except with your trusted data recovery specialist. Despite attempts to inform and educate the public on how to prevent cases of data loss, the unthinkable still happens and customers may need data recovery experts services more than one occasion. There is a vast range of organizations offering hard drive data recovery services. Whichever method they use, no data recovery company can claim a 100 percent recovery rate. Hard drives are very fragile mechanical devices, the possibility of a successful data recovery is slim if the damage to your drive is too severe. The considerations listed here should help you come up with the informed decision should you be hit by a data loss. In case something happens, do not be in a hurry to outsource a hard drive data recovery personnel to recover your data. Keep all these pieces of advice we have discussed here in mind and you never regret seeking a data recovery service provider.